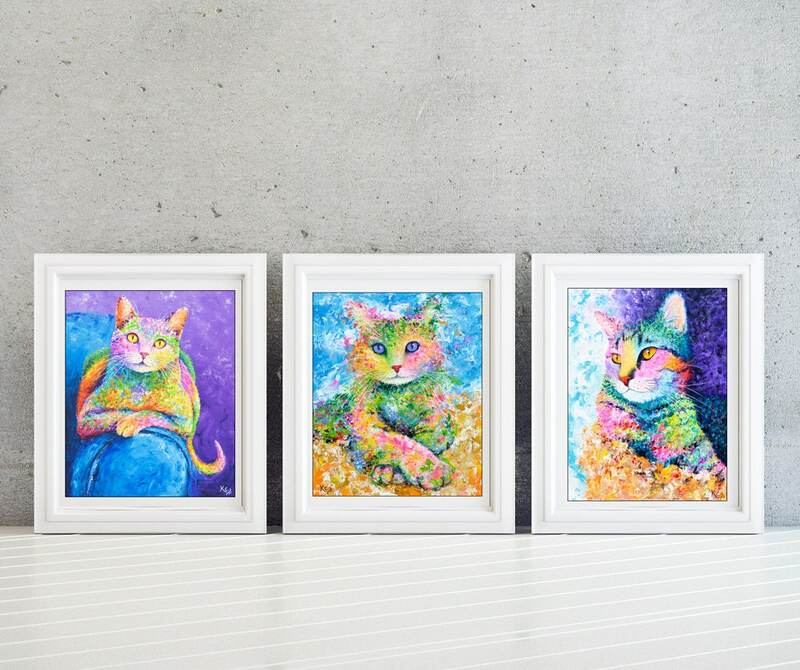 This cat wall art set is a unique cat lady gift idea or purchase for anyone looking for a kids wall art set, colorful art for a girls room, a whimsical kids room wall art set, or a cat print set. 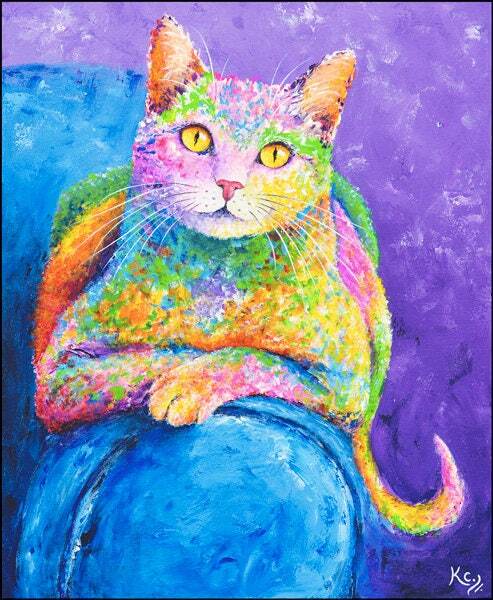 This set includes 3 giclee prints of my favorite cat paintings: Miss Karma, Karma, and Rainbow Tabby. Plus, I provide free shipping throughout the USA. 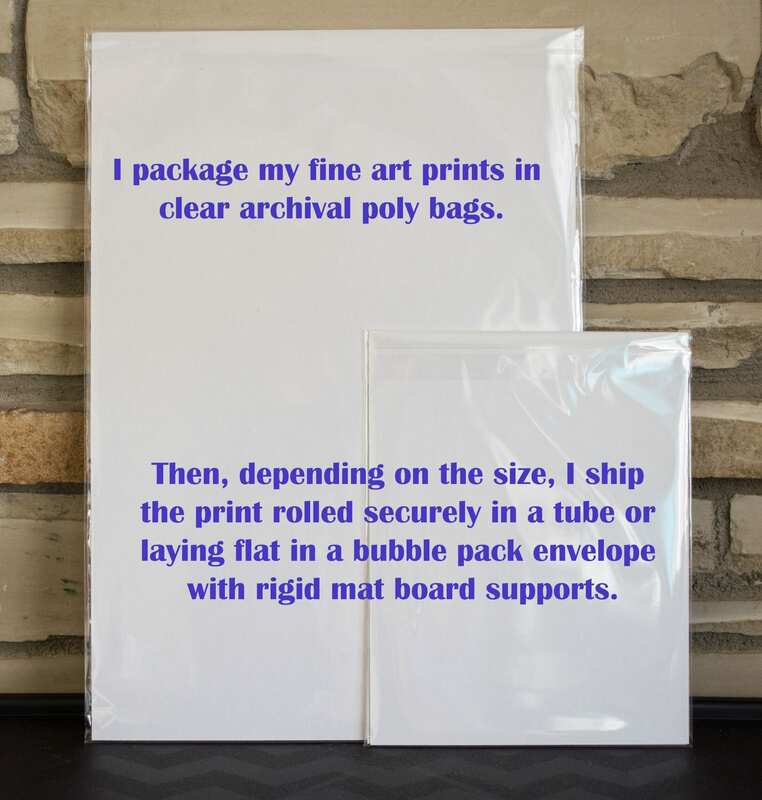 3 paper sizes are available - 8.5" x 11", 13" x 19", or 17" x 22". The size of each image varies and is slightly smaller than the paper size. 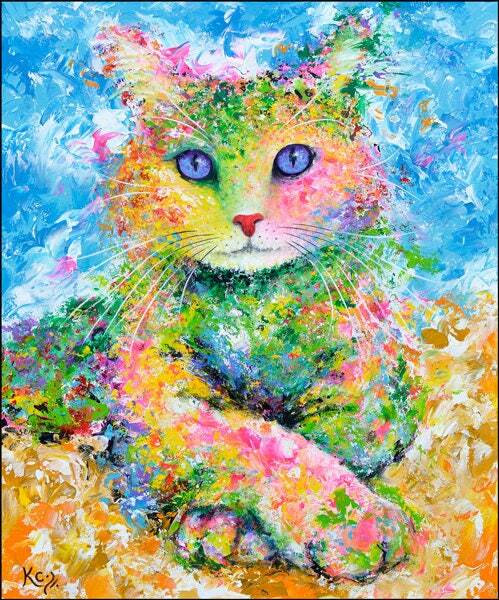 8.5" x 11" or 13" x 19" frames can be found in stores like Hobby Lobby or Michael's. 17" x 22" frames can be found on amazon.com. 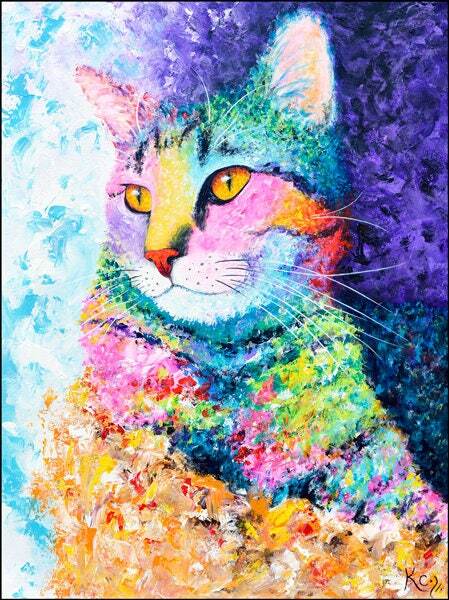 There is a thin white border around each image, so no matting is necessary. Simply place the paper print in the frame. If you have questions, please message me.